Following up on Monday’s news of the regulatory deal between the Kahnawake Gaming Commission, the KGC-associated data-center operation, Continent 8, LLC, and the New Jersey Division of Gaming Enforcement, comes the news that the Bodog-associated group of online-gambling brands has already moved from the Kahnawake hub of operations, near Montreal, Canada. News of the split between several Bodog-related brands, including the US-facing Bovada (sports betting) and Ignition Casino (online poker) offerings, was very quietly announced by the KGC back on September 2nd. (MOHAWK TERRITORY OF KAHNAWAKE) – September 2, 2016) Salmon River Technologies Limited (www.bovada.lv) and Lynton Limited (www.cafecasino.lv, www.slots.lv and www.ignitioncasino.eu) have both voluntarily terminated their Client Provider Authorizations pursuant to sections 190 to 193 of the Regulations concerning Interactive Gaming. The voluntary terminations were effective at 12:00 (noon) EST on September 1, 2016 (the “effective date”). As of the effective date, the Commission no longer licenses or regulates Salmon River Technologies Limited, Lynton Limited or any gaming site operated by either entity. The Commission is not responsible for complaints received after the effective date concerning these entities or the gaming sites they operate. 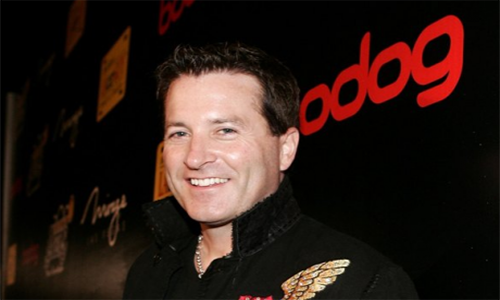 The timing of the split between the KGC and the Bodog-connected brands, as previously conjectured, also appears connected to the moving of Bovada’s online-poker offerings over to the Ignition Casino site. That reported sale was announced in late August. Yesterday’s announcement of the deal between the KGC and DGE triggered a rush of poker-world speculation that the move would mean the end of so-called “grey market” online-poker offerings being available to US players. That list, apart from the Bodog-related Ignition Casino, would supposedly include Americas Cardroom and several other companies’ sites as well. Such conjecture is likely wrong, despite being triggered by some reports at other sites, including a breathless and comically inaccurate offering at PokerNews. What has changed is that the KGC has decided not to do business and offer backbone support to US-facing, grey market sites, but those sites are already moving to service providers in other jurisdictions. The Bodog brands, including Bovada and Ignition Casino, underwent DNS address changes at the start of September. That change indicates these sites have already been moved off the Kahnawake reserve. The Kahnawake’s hands were forced by the DGE pressure, as specifically applied against the reserve’s data center, Continent 8. Unconfirmed rumors suggest that the DGE threatened to remove its licensing of Continent 8 services after other parties informed it of Continent 8’s service, in Canada, to gray-market providers. Continent 8, as part of the Kahnawake tribal nation, had invested in and opened a new data center in New Jersey in 2014 in anticipation of a burgeoning US online market, and had received conditional operational approval at that time. The DGE, allegedly, threatened to yank that conditional approval, despite the Kahnawakes’ long claims of sovereign rights regarding tribal gaming. However, those rights clearly would not transfer from a Canadian tribal reserve to a New Jersey (US) business office, which appears to be why the Kahnawake decided to comply with the DGE’s demands. Note that though the DGE presser published yesterday specifically mentioned Bovada, the deal with the KGC involves all US-facing brands. This means that all such sites services via the Montreal portion of Continent 8 are already locating to non-Kahnawake digs. The KGC/DGE deal, as announced, then, is something of a fait accompli. Arrangements had already been made between the two regulatory entities to allow those US-facing sites a few weeks to move elsewhere. Since 1999, when it became one of the first jurisdictions in the world to license and regulate online gaming, Kahnawà:ke has recognized the necessity of continually evolving its regulatory environment to keep pace with this dynamic industry while ensuring Kahnawà:ke’s jurisdictional reputation and integrity are maintained at the highest levels. 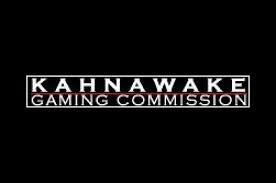 After careful consideration, the Kahnawà:ke Gaming Commission (the “Commission”) has directed that an applicant or existing licensee that accepts players from a US State without being authorized by the US State to do so, is engaged in an activity that adversely affects Kahnawà:ke’s jurisdictional integrity or reputation (the “regulatory directive”). An application from an operator that engages in this activity will be denied. Existing licensees have been advised that, not later than September 30, 2016, they must modify their operations to conform to the Commission’s regulatory directive or their licenses will be terminated. Kahnawà:ke’s elected governing body, the Mohawk Council of Kahnawà:ke (the “Council”), is fully aware of and supports the Commission’s authority, as empowered through Kahnawà:ke’s law, to issue the regulatory directive. Over the past several months, the Commission has established a strong regulatory collaboration with the New Jersey Department of Gaming Enforcement (“DGE”). Building on a foundation of mutual respect and cooperation that was first established in 2014, the Commission values the excellent working relationship it has fostered with the DGE.